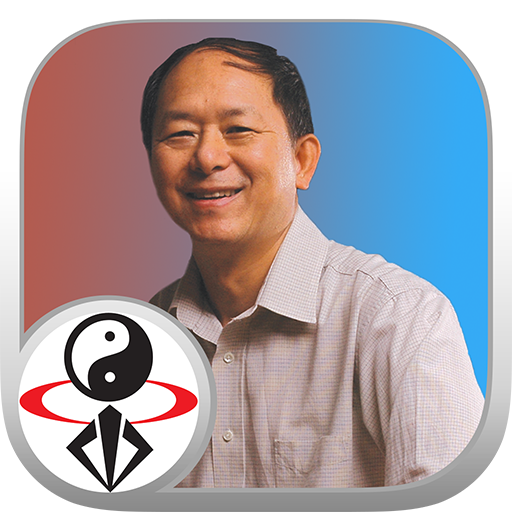 This video app contains Course One of the Understanding Qigong video series. Dr. Yang answers the questions "What is Qi?" and "What is Qigong?" Subtitles: English / Spanish. 120 minutes total video for $9.99 USD purchase. Drawing on over 40 years of training in Qigong (chi kung) and his Western scientific background in Physics and Mechanical Engineering, Dr. Yang presents a clear and fascinating explanation of his Qigong theory, and offers a simple Qigong exercise for students to begin experiencing their Qi. This program is a must for Qigong practitioners, acupuncturists, energy healers, and anyone interested in understanding exactly how and why Qigong works. Qi-Gong means "energy-work". Qigong (pronounced chee-gung) is the ancient art of building the body's Qi (energy) to a higher level and circulating it throughout the body for rejuvenation and health. Some Qigong is practiced sitting or standing still, while other Qigong can be a kind of moving meditation. This gentle Qigong exercise is a highly effective way to reduce stress, increase energy, enhance healing, and generally improve your quality of life.